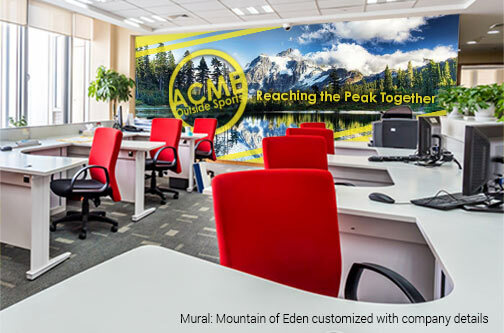 Wallpaper wall murals are a cost efficient and effective way for corporate and professional offices to build and enhance branding, corporate identity and core values, employee morale and customer relationships within the workplace. At Magic Murals, we have the in-house expertise to work with you and/or your office design team to turn your walls into a communications platform that conveys your unique message and contributes to your bottom line. Every mural is custom crafted in our North Carolina facility to fit your specific needs. Please call us at 877-448-7295 or email us at service@magicmurals.com and we’ll begin working with you on your office makeover. For helpful information and ideas, we invite you to read below and browse the collection of mural images we’ve curated especially for corporate and office use. 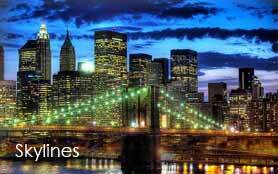 Complete the Corporate & Offices Request Form below for our exclusive offers. Please include your mailing address to receive our Swatch Kit One, mailed via U.S. Postal Service. Make great first and follow-up impressions by showcasing your products, services, showcase projects and core values. Every surface in your building, from floors to ceiling, is a potential branding opportunity. We can add your own logos, slogans or other copy to any imagery to further customize your message. Perhaps we can help you create a “Wall of Fame,” that highlights superior performers? Employee recognition goes a long way toward continuing to motivate your top performers and getting the rest of your employees to want to join that list. If you have a large, open-plan space, wall and floor graphics can do a great job of designating specific areas for specific functions. 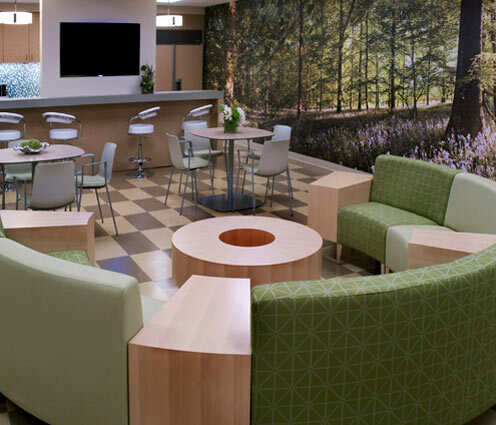 Creativity-inspiring murals for the areas used for small meeting groups. Stress-reducing images in the areas for employee breaks. You get the picture. Regardless of industry, location and other factors that may define your corporate office’s interior design, our collection of wall murals helps break barriers and sets a new standard in creative office space décor. Whether you're looking to update small cubicle partition panels or are looking to cover the largest of walls in an auditorium or warehouse, Magic Murals can create stunning wall coverings in virtually any shape or size you need. Regardless of the structure, whether masonry and brick or painted sheetrock, we have the right material for the job. Our customer service representatives can help you pick from our most popular materials or suggest something more appropriate for your particular application. We’re here to make things as easy as possible for you – so call us, let us know what kind of application you have in mind, and we'll make sure the right material, meeting all environmental considerations, fire codes and hazardous materials requirements for your location, is selected. 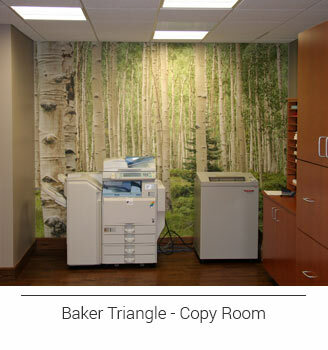 Magic Murals provides our clients with more than just wall murals; from top to bottom, we've got you covered. Our RoughStik™ material is great for concrete or tile floors. Ceiling graphics, on the other hand, can provide imagery such as sunshine, blue skies and wispy clouds overhead that make one forget they’re in a stuffy old office. Windows and glass walls offer different branding opportunities for office design. We offer perforated window film that allows exterior light to pass through one side while the other side displays a full color image. These window decals are great for providing privacy while at the same time getting a visual message across. We also offer frosted window films that provide privacy to offices and conference rooms with glass walls while allowing ambient light to pass through. For added pizzazz, we can print or cut your logos, text or other designs into the film. 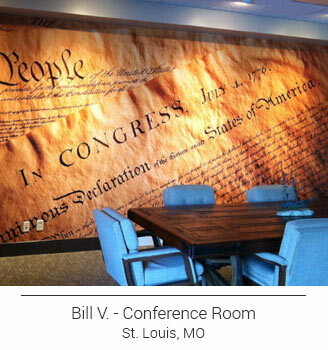 Our dry erase murals are great for conference rooms and all other offices in your facility. 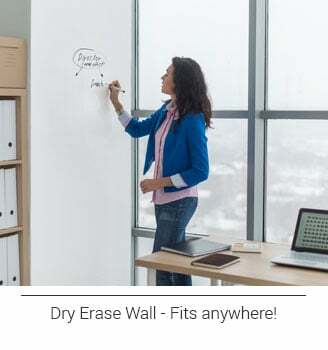 You can cover an entire wall, from floor to ceiling, and never have to erase anything during a long, productive meeting again. You can even cover the top of the conference table with our dry erase product and let the brainstorming begin. Maybe a little doodling too. For logistics and other professionals, we can create any map you desire with a dry erase coating that will allow you to work out delivery routes, new locations, etc. 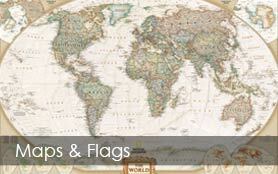 We have access to a full library of maps, so whether you need the world, a country, or just a city or two, let us know. 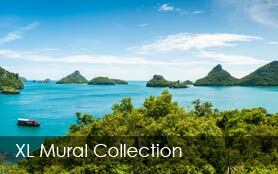 Every mural is custom crafted in our North Carolina facility to fit your specific needs. 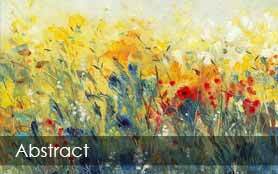 We can use your logos and other artwork to create branded wall and window coverings or we can create artwork for you. All murals and other graphics are custom sized and produced to meet your specific dimensions. Both our QuikStik™ self-adhesive vinyl and our ProStik Type II™ commercial grade wall coverings are Class A fire-rated, extra durable and easy to clean. QuikStik™ murals are repositionable, removable and reusable and easy to install. For additional information, please visit our Compare Materials section or give us a call. Our Design and Service Consultants have years of experience working with companies of all sizes and all budgets, from small offices to large corporations with multiple campuses. All of us at Magic Murals will strive to serve you with an unsurpassed level of care and service. Please call us at 1-877-448-7295 or email us at service@magicmurals.com to discuss your corporate and office design projects and how we can serve you. * for exterior, concrete, cubicles, windows, etc.